I don't know about you but I love soups this time of year! Not really one to eat an entire pot by myself especially since my family doesn't really eat soup. Which is why I love to make my soups and freeze them in individual servings! They last me several months and if I have a few different options to choose from then I'm set! 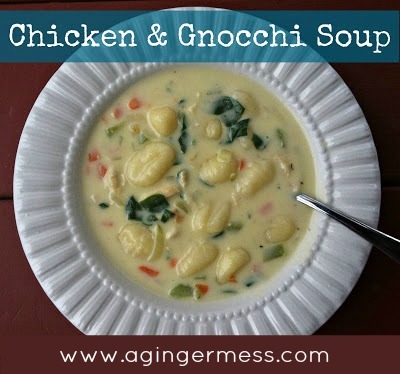 My freezer currently consists of Chicken Noodle Soup, Roasted Butternut squash Soup, She-Crab Soup, Tomato Basil Soup and NOW Creamy Chicken and Gnocchi Soup! Next I need to make my Chicken Tortilla soup and Minestrone but for now...I think I'm off to a good start. I found the base for this recipe through Pinterest but changed a few things. Since I'm not a coffee drinker I don't ever have half and half on hand. However....I always have milk and heavy cream so I switched that a bit. 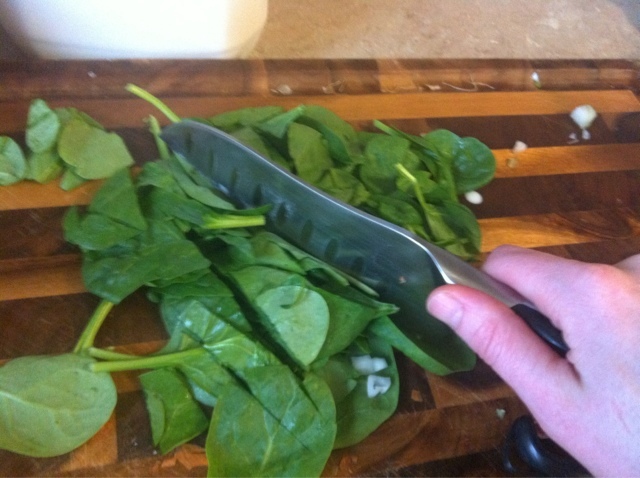 also a little more spinach wouldn't hurt anybody! When I tasted the results.....OH MY.... it was incredible! At that moment I was wishing I didn't already have dinner made because what I really wanted to do was eat the entire potful! It was that good! Watch out...may cause you to lick your bowl in a very unladylike (or ungentlemanly) manner! Enjoy! 1. Dice up the onion, carrots, celery and garlic. This is the base for most soups. Sometimes I can't believe I didn't use to like celery. 2. 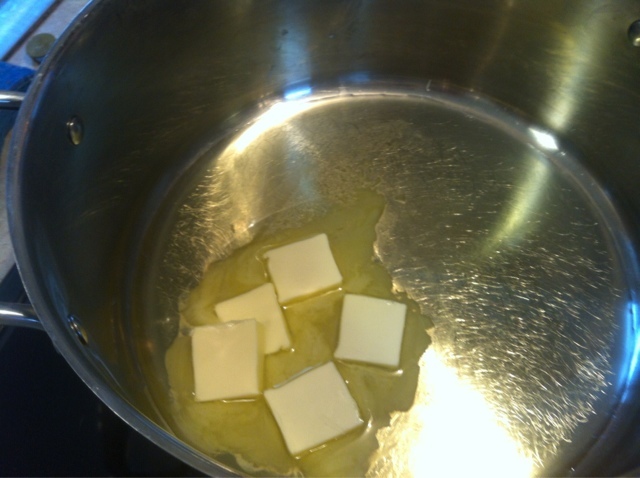 Heat olive oil and melt butter in a large pot. 3. Saute carrots, onion, celery and garlic in the olive oil/butter. 4. 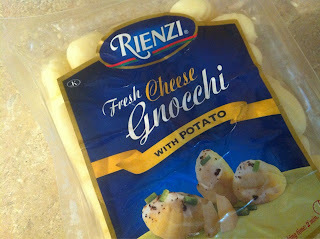 Here's the gnocchi I used. Go ahead and get a pot of salted water heating up. Don't forget the lid, it'll quicken the boiling time. Cook gnocchi according to package directions. 5. 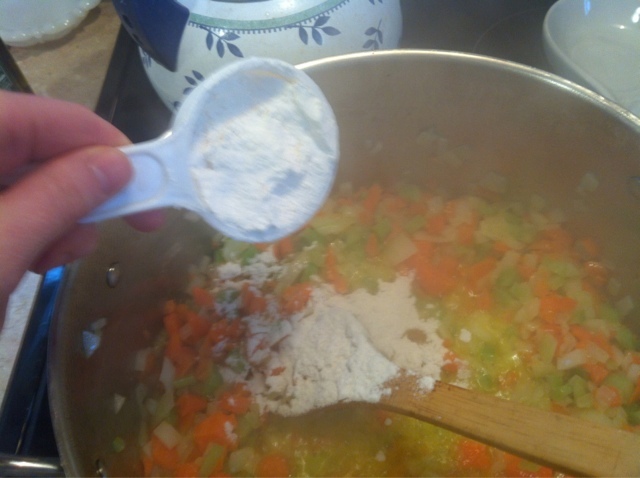 Whisk flour into veggie mixture. 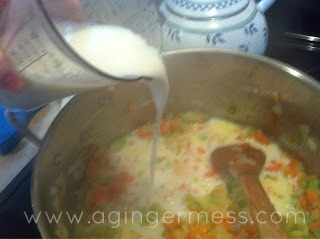 This will create a roux (a thickening agent). 6. 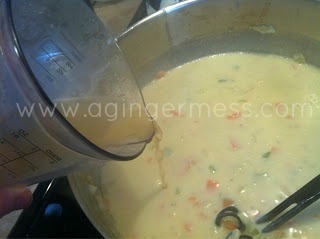 Now add the milk and heavy cream and stir with a whisk. 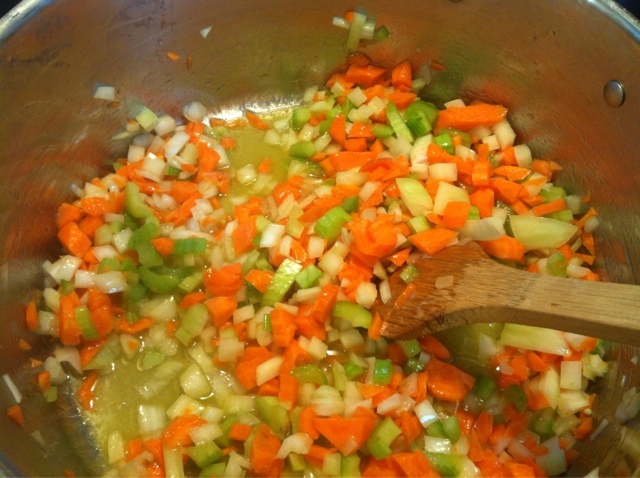 Stir frequently until thickens up a little. 7. Now add the chicken stock, cooked chicken, thyme, salt and pepper. 8. Add the chopped spinach and stir. 9. 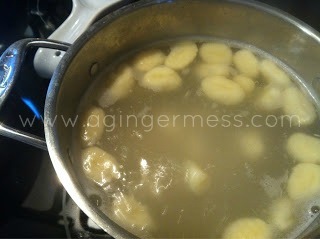 Once the gnocchi water begins to boil, drop the gnocchi in. It should only take a couple minutes for the gnocchi to be done. 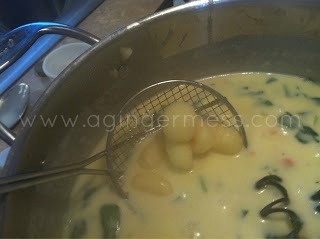 When you see the gnocchi begin to float to the top, you know it's ready. 10. 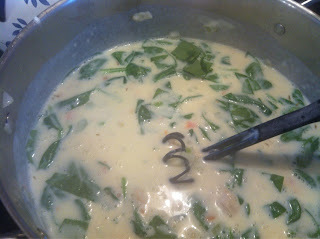 Drain gnocchi and add the the soup. Taste and adjust seasonings adding more salt and pepper if needed. 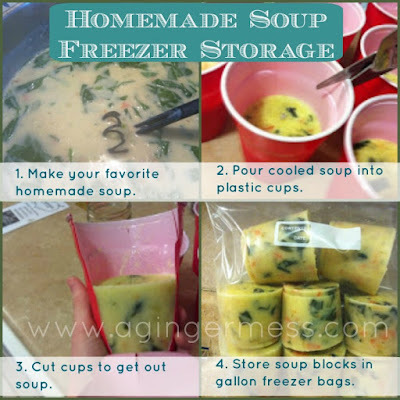 To freeze, ladle the thoroughly cooled soup into plastic cups like these and place in the freezer. Once the soup is frozen cut three slits in the rim of the cup and peel the cup away. Place in a gallon size freezer bag. Now you have individual serving of delicious homemade soup you can grab in a hurry and take to work with you! Who needs canned soup?! UPDATE: After doing some research and realizing that even though I DO put my cups in the recycling, not every municipality will actually recycle these cups (even though they have the recycle symbol on the bottom). Instead, I am looking to switch over to silicone jumbo cupcake molds or liners instead. That looks super yummy! It's suppose to be cold and rainy this weekend, so I'll be making this for sure! BTW, I love the storage tip. Awesome idea. I'll have to pin this to my foodie board. 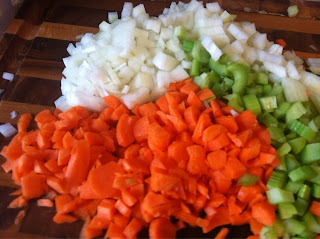 Making this soup now!! Thank you for the recipe! Don't even worry about it! 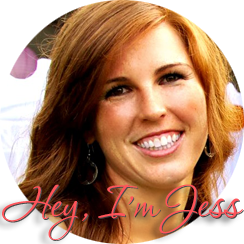 I've had some health issues going on the last 6 months so I haven't done much myself... meaning I have barely cooked or blogged. LOL But that pin is probably the one that is the most repinned out of my pins. :) Hopefully I'll get to feeling better soon and I'll be able to try it out! No more snakes in your van, right? My husband made this soup tonight and it was delicious! We always like to add some apple cider vinegar to our soups to tang them up a bit, and it made this delicious soup even more delicious! Thanks for the recipe!